US, 2009, 97 minutes, Colour. Sandra Bullock, Bradley Cooper, Thomas Haden Church, Holmes Osborne. Sandra Bullock may not approve of this pun, but her character in All About Steve, Mary Horowitz, probably would: one is tempted to use very cross words about this sometimes bizarre comedy about crosswords. Mary composes crosswords for the Sacramento paper. She is a middle-aged nerd of the highest order, talking incessantly like Wikipedia only more so, with a high IQ that bears no relation to her social ineptness. At one stage, a little hearing impaired child signs to her that she talks too much. Sandra Bullock can do dopey well, and nicely – look at Miss Congeniality. Here she is just just plain (no, complexly plain) ditzy. At which stage, Mary Horowitz would burst into a definition of ditzy with a superabundance of synonyms and the origins and usages of the word. But, you know what I mean. Maybe on paper, this character seemed funny and sweet, despite her irritation-potential, but she really doesn't make much sense as her character develops (a euphemism for what she does during the film). And Sandra Bullock was a producer of All About Steve so she could have done something about it. There are too many inconsistencies about Mary Horowitz to make much sense, gawkily introverted one moment, almost a sexual predator the next. The victim of this unexpected outburst is television cameraman, Steve (Bradley Cooper) who gets out of her literal clutches as fast as he can. Silly man, he has remarked that it would be nice if she were on the road with him. She takes it literally and stalks him all over Texas, Oklahoma and Colorado, egged on by the vain front man played by Thomas Haden Church. 1.The impact of the comedy, how entertaining, the severe reviews and criticisms? 2.The credibility of the characters, or not? Situations? 3.The style of comedy, screwball, ditzy, satire? 4.Sandra Bullock’s performance as Mary? The bizarre aspects of her character, behaviour, expressions? The introduction, her making up the crosswords, her strong vocabulary, her being an encyclopaedia? Her parents and their concern, arranging the date? Steve, the date, being forced into it, his behaviour, the sexual approach, Mary’s erratic behaviour, naïve? Steve fobbing her off, relieved? Her decision to follow him? Making up the crossword all about Steve, the collage contrasting with the initial view of people enjoying the crossword with the people who couldn’t understand it? Her being fired? 5.The background, the boss and the paper, Sacramento? Her parents and their concern? 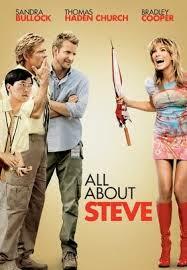 6.Steve, television, his boss, the rivalry for Hartman and the other networks? The reports? Hartman talking direct to camera? Steve and Hartman collaborating as a team? Hartman’s vanity? The boss and his exasperation, sending them on various missions? 7.Steve, the repercussions of the date, his escape, going back to work, on tour with Hartman? 8.Mary’s arrival on the various scenes? Hartman and his mischief, egging her on, telling her that whenever Steve denied the relationship he really meant it? Mary believing him? The effect on Steve each time she turned up? 9.The situations, the fires, the storms, the waterfront, Mary and the accidents? The child with three legs? The various camps, her identifying with the three-leg group, their support of her? Hartman’s note? 10.The information about Colorado, her going there, the deaf children, the excursion, the collapse, the disused mine, the media turning up, Hartman’s rival, Hartman? The rescue of the children? Mary and her falling in, discovering the child? Trying to work out how to escape? The time underground, time for reflection, action? 11.Her group and their support, the truck driver and his giving her a lift, discussions with her, her bizarre behaviour with him? His coming to the rescue? 12.Mary lifted up, the child saved, her becoming a heroine, everybody seeing it on television? 13.Hartman, diving in for the rescue, the rival and his exasperation, Hartman taking the credit? 14.The overall impact of the film, its happy ending – a ditzy romantic American comedy?